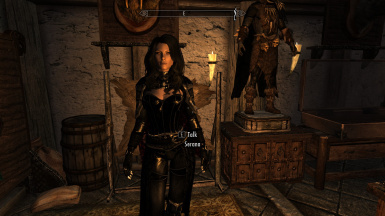 This makes it possible to marry Serana after completing Quest Kindred Judgement and advising Serana's mother Valerica that it's safe to return. rcavanah - Supplied wav files containing re-sampling of Serana's Voice. Cleaned up some scripts and conditions to increase cross mod compatibility. Modified Summon Serana spell to fix graphical glitch of Transparent Serana on some casts. Fixed Serana Store to show proper shop contents when viewing. Small fixes to marriage scene. Fixed missing dialogue to set home. Modified Serana Summon spell, new spell effect and changed from lesser power to greater once a day power. Fixed bug in my Mod load Alias causing some update checks to fail. 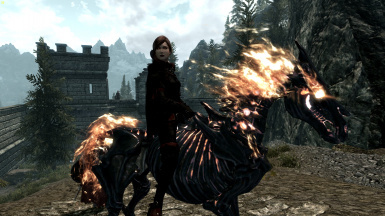 Summon Spell added for Serana for rare cases where she bugs out(vanishes) or gets stuck in her AI pathing. Improved workaround for Serana follow bug. When MentalModel variables are incorect a dialogue prompt will appear within the Lets talk branch to correct this. Modified script properties for missing Hearthfire locations in Main File. Fixed 'What do you need?" dialogue. Completely Rebuilt and Overhauled the mod. Issue with those on Dawnguard side not being able to re-enter the soul cairn should be fixed. Altered Serana's dismissal dialogue. She will no longer refer to returning to the castle or the fort after marriage. Also forced follower dialogue to hopefully resolve issues some people had with her. Corrected some missing script associations - Altered and improved a couple scripts. Corrected some more subtitles to match vocal dialogue. Added all Vanilla and hearthfire homes plus guilds to set home dialogue. Disabled the vanilla marriage set home dialogue for Serana only. Corrected multiple subtitles and adjusted some generic hellos to longer intervals. Created seperate hearthfires inclusive version. Setup global(Soul Cairn Attunement) and entry trigger check for re-entering soul cairn on Dawnguard side if you first entered as vamp - Will only work for new games. To be tested. 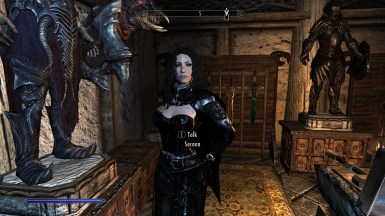 Reduce Serana's post marriage hello "What do you need?" freq. Updated voice with re-sampled Serana. Special thanks to rcavanah for supplying the most of the resampled wav files. Minor fixes to the dialogue event. Background work to setting Serana's homemarker in a future version. 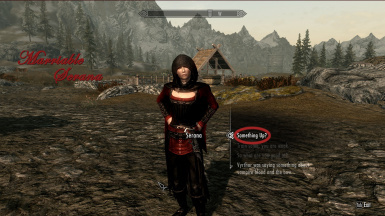 Once conditions are met Serana will have a dialogue prompt once activated a notification will be displayed. Now works regardless of Dawnguard progression. The Marriage prompt requires wearing the 'Amulet of Mara' after talking to Marmal about marriage and you can't already be married. 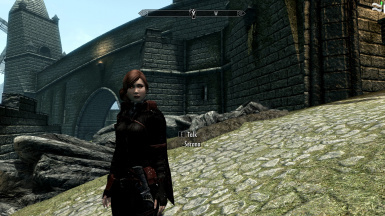 Serana has retained all her original voice. After Harkon's Death, notify Valerica that it's safe to return. This will allow the normal Vanilla Skyrim marriage options using the amulet of Mara. Dialogue which will appear to change Serana's attributes making her marriable. Fully voiced from parts of her existing dialogue. Spouse Merchant ability and daily gold. She will be able to provide a home cooked meal daily. Includes a summon spell for her. ** Locations won't appear unless they are purchased or related quests completed. - *Option to set any other location to a custom home. Fast Travel to set home location through Serana's Dialogue. Thanks to FlashbangNeedsBackup for doing this walkthrough, though it's a little dated it still relevant on the procedure to take.